Cody Parkey is a talented American football player who takes on the role of a kicker for the Chicago Bears of the NFL. He turned pro in 2014 when he joined the Indianapolis Colts as a free agent. He has equally played for other top teams including Philadelphia Eagles and Miami Dolphins before his current stint with the Chicago Bears. Interestingly, Cody was named to the Pro Bowl as well as PFWA Rookie team following his outstanding performance in 2014. Learn more about the football kicker below. The Bears’ star Cody Parkey came into this world on the 19th day of February 1992 and was born in Jupiter City of Florida in the United States. His parents are Doug Parkey Sr. and Kelly. 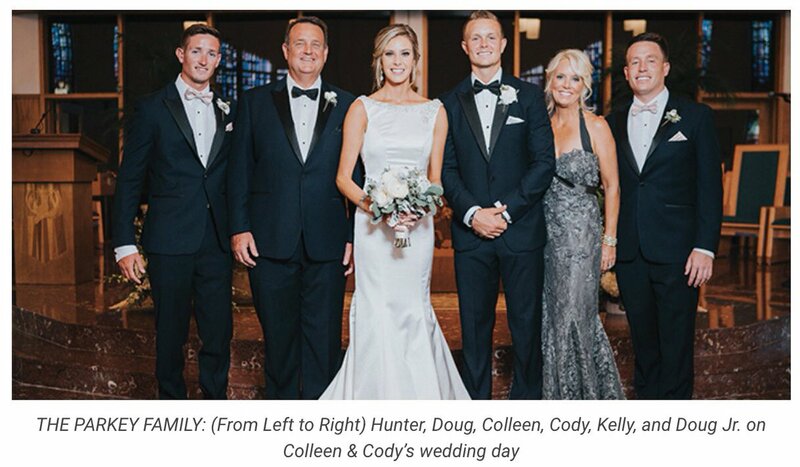 Cody grew up along with his two siblings – Hunter and Doug Jr. He made his first stint in the game of football while attending Jupiter High School. At the time, he was teammates with his brother Doug. The duo made a wonderful impact on the team until their graduation. Soon after he left Jupiter High, Cody enrolled in Auburn University where he continued with his football career. He joined the Auburn Tigers in 2010 and played for four seasons, ending in 2013. During his college career, he helped the Auburn’s team to win the BCS National Champions twice. Playing the role of placekicker, he hauled in 27 points while converting 11 out of 14 goal attempts as a junior. In his senior year, Cody wrapped up his career scoring 66 points while converting 15 out of 21 field goals. After his college career, Cody Parkey was not invited for the NFL combine exercise and eventually went undrafted during the NFL draft of 2014. After the draft, the player who became determined to make it to the professional league signed up with the Indianapolis Colts. Following his wonderful first impression on the team, he was sent to the Philadelphia Eagles on a trade for a running back. Joining the Eagles, Cody competed for and later won the starting shirt against Alex Henery. In his rookie year, the placekicker set a new record in the league after scoring 150 points for the Eagles. He also earned a spot in the Pro Bowl while being named to the All-Rookie Team. Cody sustained a groin injury in 2015 which caused him to miss several league games; prior to the 2016 season, he was laid off by the Eagles. Although he was quickly recruited by the Cleveland Browns, the placekicker wasn’t able to make the main roster and was dropped in September 2016. Later on, the Miami Dolphins signed Cody to their squad in September. Becoming a Dolphin, Cody improved greatly in his game that season. He was named AFC Special Teams Player of the Week after scoring 13 points against Los Angeles Chargers in Week two of the 2017 season. He further recorded 83.9 completion rate while scoring 99 out of 118 field goals at the end of the season. After a stellar season, Cody Parkey was signed to a four-year deal by the Chicago Bears in March 2018. The contract values at $15 million with $9 million guaranteed. During the 2018 season, Cody was able to convert only 23 out of 30 field goal attempts for the Bears. In addition to his successes in the football field, Cody Parkey is equally successful in his love life. He is happily married to his long-term sweetheart and love of his life Colleen Rick Parkey. Cody and Colleen first met each other during their second year in high school. Although Colleen went to Florida University while Cody went to Auburn, distance never affected their relationship. The couple announced their engagement in 2016 and tied the knot in July of the following year 2017. Their wedding took place at Cross Church situated in Palm Beach Gardens, Florida. Since then, they have been enjoying a blissful married life to date. The gorgeous couple doesn’t have kids yet, though they might have plans of having them in the future. He has worked to encourage safe driving after losing a college teammate Philip Lutzenkirchen in a fatal car accident. After his four-year college career at Auburn University, Cody went undrafted in the 2014 NFL draft. He got hitched to his long-term sweetheart Colleen Rick in July 2017. He currently resides in Chicago with his wife and their dog named Marlin.